***NEW PAVING! CALL FOR UPDATED PRICING. ONLY 4 LOTS left!!!! LOT 4,6,9, 10, 15 and 18 SOLD! Lots 2,3, 8 and 17 left! Attention builders! Now-4 LOTS for new construction, ready to go!! Recorded restriction amendments are attached! Now able to build a 1600 sq ft ranch as a minimum! 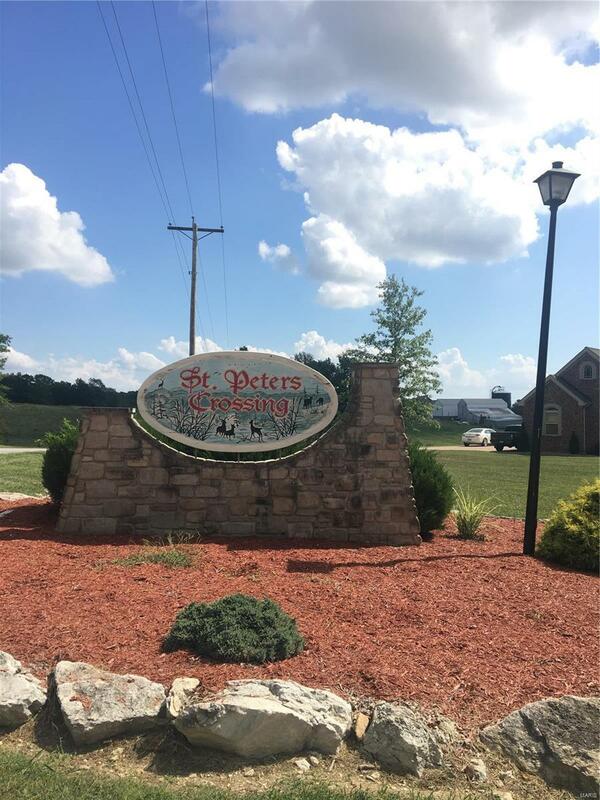 Exceptional 3 ac Lots in St Peters Crossing, Southern Lincoln County location to build your next spec homes! Paved street and streetlights with County Water! This community is a smaller community which is great for privacy and little traffic! This is a unique opportunity to be surrounded by farm land, a beautiful country setting but only minutes for commuting to 40/61 or Hwy 79! Come on out, drive through, take a look! Listing provided courtesy of Rose Property Partners, Llc. Listing information © 2019 Mid America Regional Information Systems, Inc.